If you’re a small businesses owner or solo entrepreneur, your success depends on smart messaging and great design. So you need a website, or maybe a website face-lift. In today’s market, simply reaching your audience isn’t enough. Even a nice-looking website won’t guarantee a thriving business. As the representative of your brand, your website is fully responsible for attracting visitors with distinctive visuals, impressing them with effective messaging, and keeping them engaged throughout. “Pretty” doesn’t cut it. You won’t settle for average design work, but you’re not exactly rolling in dough just yet. Potential customers or clients won’t be impressed by another mediocre website, and you won’t either. But creating meaningful content and weaving it into a solid visual design and user experience is an elaborate process. Especially while juggling the work you already do. Perhaps you’ve tried the DIY approach and found it inefficient. Maybe you’ve scouted digital agencies for web designers or developers but were quoted out of your budget. You might’ve turned to more affordable freelancers, but discovered their variable quality made choosing one feel like a crap shoot. What options do you have if you want your website built by a specialist, but the professionals are out of reach? Enter Ariele, a bold exception to the web designer status quo. I choose to work with small businesses, solo entrepreneurs, and personal brands, whose potential for success depends on smart messaging and great design. My work is grounded in the understanding that the goal is to move visitors toward action -- either by making a purchase, sending a message, downloading a piece of content, or whatever you want that first customer response to be. With a substance-before-style approach, I help merge your vision and business needs with your users’ needs, to make your website as effective as it is impressive. An outstanding website shouldn’t mean the choice between a DIY ordeal and an intimidating digital agency price tag. I offer three starting packages geared for businesses as different stages – from businesses that are barely emerging to those with an established web presence. Each package can be tailored to give you exactly what you need and nothing that you don’t. You may just be getting started with branding a new business. Or perhaps you’ve already established some of your brand language and visual identity, maybe a “purpose statement” or logo concept. No matter the extent of your brand development, I help you fully create, evaluate, or redefine your business’ identity. During the brand discovery process, I work with you to help you spark ideas, enrich your language, refine your content, evaluate visual choices, or revisit any features of your brand that could be sharpened. Once we establish your brand identity, we blueprint your website as a graphical sitemap. We determine where additional content is needed and how I can guide you through the writing process. Then we begin to assemble the content and visual puzzle pieces into a full design. After all development, cross-browser testing, backend integrations, and any other final touches are complete, I provide you with training so you can navigate the backend of your site and update content on your own. In order to take your website live, your domain name must be registered with a web host, which uploads your site’s files to their server and “serves” them to computers everywhere. I offer web hosting through my own virtual private server (VPS), which is shared only among my clients. 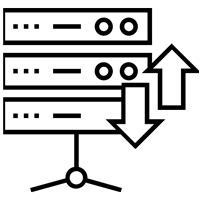 With my service, you won’t need to worry about thousands of other sites slowing down the server’s CPU or sharing your server with potential hackers or malicious sites. 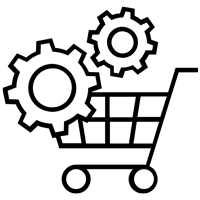 Whether you need a basic payment processor or a full ecommerce platform, your customer purchasing experience should be seamlessly integrated into your site design. Often out-of-the-box payment plugins won’t harmonize with your brand. I can enhance your store’s shopping and payment process with a custom interface, specific functionality, and the third-party integrations you need. WordPress releases regular system updates that reflect the latest improvements in the performance and security of its code core. While these should be implemented regularly, running updates on your live site can sometimes break critical functionality in the frontend. I can maintain backups of your site, as well as run monthly system updates in a production version of your site. This ensures the updates are safe to execute on your live site. How does website design and development work, exactly? The website design and development process can seem mysterious at first. It takes a lot to transform from a jumble of abstract concepts into an attractive and functional website. In reality, what we call a website is a bunch of interconnected multimedia files. Turning those files into a beautifully designed site involves something that may sound un-designy: code. After the design is created, it must translated from its visual form and rendered in written code. This is where WordPress comes in, which is the Content Management System (CMS) I build all my sites on. WordPress has a built-in code framework that’s enormously powerful and flexible, so it does the initial heavy lifting. It provides the ability to create custom themes, so any mocked-up design can be perfectly replicated with proper coding. This means that your site design will be truly one-of-a-kind. How quickly can the work be done? Even with a solid grasp of the website process, development can seem needlessly long. Designers and developers often hear the same request: “I just need a simple website and don’t have much time. Can you speed things up?” It’s a fair question. Receiving a multi-week timeline from a designer can seem off-putting, but the truth is that building website takes time. The design process isn’t simple, and with good reason. Great design involves investigating purpose and value, identifying critical themes and patterns, organizing information, strategizing and assessing numerous possibilities, juggling a variety of needs, and cohering it all as a dynamic digital experience. It is deliberate, methodical, strategic, and iterative. It demands as much intangible work as it does hand-sketching and digital rendering. A great website takes time because it address your whole business. Your website is your “face-to-face” with a customer, and must communicate the value of what you offer — so effectively that it turns first-time visitors into clients, customers, and loyal brand enthusiasts. Will we do some, any, or all of the work together? Design particulars aside, my chief priority is your experience as a client. I guide you on a roadmap that begins by evaluating your business at its current stage. Then together, we start to pin down the factors that will form the foundation of your website. Throughout our project, I make sure you have plenty of opportunities to collaborate with me on the process, consult on ideas, and review work. After all, revisions are bound to occur, so why not make room for them? Periodically reevaluating the design direction helps you feel confident in the look and feel of your site as it materializes. I care that you feel well-informed and involved each step of the way. Most of all, I want to help make the experience of building your website as meaningful to you as it will be to your business. On our first discovery call, we’ll discuss your goals, needs, concerns, and any simmering ideas, so I can begin to formulate a picture of your project’s scope and requirements. We’ll feel out the experience of working together and set up a foundation of transparency and mutual commitment. If all systems are go, I’ll do some further research to familiarize myself with your niche and submit a comprehensive project proposal and work agreement, which will outline my process for your specific case. I feel strongly that you should know exactly know what you’re paying for, so you’re confident you’re making the right investment for yourself and your business. A brand represents the sum of your customer or client’s “gut feeling” about your company - your name, logo, visuals, language choices, personality, reputation, customer service, and so much more. If you’re just starting out or have little or no branding material, we’ll spend plenty of time carefully cultivating all the explicit and implicit elements that will make up your own memorable brand. I’ll provide you with the resources and support to work through the branding process, so you convey a sense of clarity, competence, trustworthiness, and relatability throughout your website. I use your developing or established verbal branding to begin building out your visual style. We start with a mood board to gather colors, images, logos, or captures from other websites that help clarify our thinking. Once we’ve brainstormed logo concepts, I create an initial design as the foundation for future iterations. Your alternative logo(s), color palette, typography, iconography, and other graphic elements will also be developed in this phase. Before the site design work begins, we need to lay out your site’s content structure. We work together to draft a visual sitemap that displays all the pages on your site in a hierarchical navigation structure. When the sitemap has been finalized, we then determine the entirety of the on-site content that still needs to be created. I will review and assist with your writing as we begin the site design phase. Once the page structure has been determined, I develop grayscale wireframes -- skeletons of each page on the site. The wireframes incorporate your content to ensure the visual length of content elements is properly styled. Wireframes are an important step in visually organizing content hierarchy, placement, and prioritization on a page. 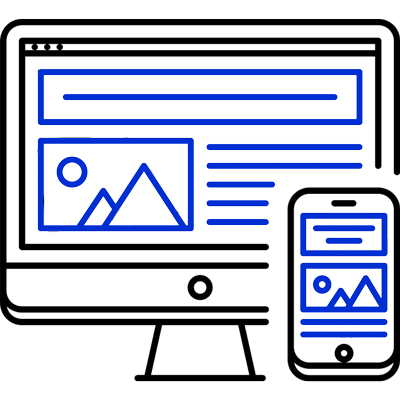 I take the time to wireframe all of your key pages for multiple devices, so we plan for your site’s responsive behavior on all different screen sizes. 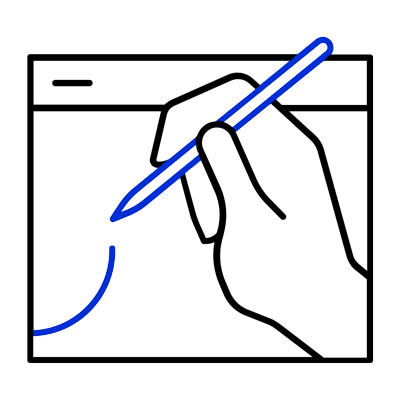 The wireframes are then transformed into mockups, in which the visual elements and content all come together to look like a real, cohesive website. Mockups show static representations of the layout, design elements, full aesthetic, and basic functioning of your soon-to-be site. Like the wireframes, I create a number of mockups for each page at different screen sizes. You’ll have a chance to review and request revisions throughout the process. Commence geek mode. This is when - if you so choose - I get you set up on my own Virtual Private Server (VPS). I can also transfer you here if your site is already being hosted, but you’d prefer a more secure alternative. Once on my server, I create your database and install WordPress in a secure “production” version of your site so you can view the progress. I start with a custom WordPress theme and code away until I’ve created a pixel-perfect re-creation of your website mockups. This stage of the process can be the most rewarding because you get to see all the work we’ve put in come to life. With frontend coding complete, I implement basic Search Engine Optimization (SEO) for all your pages and images, set up and alter a number of security measures, and integrate Google Analytics to track your site traffic. I also test and debug thoroughly before launch. I check functionality between all internal and external links, responsiveness across screen sizes, and rendering across browsers. I place a high priority on ensuring everything is accessible and compatible for your visitors. Once we’ve launched the site and cheered in celebration, I give you a basic tutorial of the WordPress backend so you can update your content whenever you like. As an extension of our project, I can offer continuing monthly support. 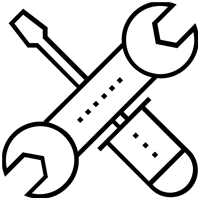 I keep your WordPress core code and plugins safely up-to-date by running updates in the production version of your site first, so there’s no risk of functionality problems when the updates are run on your live site. I also maintain regular remote backups of your site in case it ever needs to be restored to an earlier version. An architect of pixels and juggler of words rolled into one. Originally from .Austin, Texas , currently located in .Athens, Greece . Throughout my childhood, my academic focus bounced back and forth between arts-and-crafts and reading-and-writing. As a teenager, my interests sharpened. I was delighted by all kinds of design — the ability to please the eye simply through an arrangement of graphic elements and spacial relationships. I was also fascinated by the infinite choices of language. I would scrutinize the styles of my favorite writers, each with their own powerful formulas for making words on a page so compelling. Naturally, I had to put all my eggs in one academic basket in college. It wasn’t until well after my formal education that discovered a place for both of my long-standing passions — in the very field I had just begun working in. As a new web designer, I was looking for freelance work with some emerging small businesses. Many were eager for a website, but couldn’t tell me much about their values and goals. 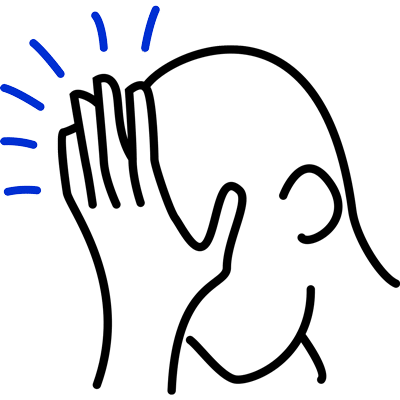 I had enough business experience to know that a company can’t move forward until it’s settled on the fundamental whos, whats, whys, and hows. I knew I couldn’t develop websites for unbranded companies in good faith. I couldn’t give them a look that positioned them for success before they knew how they planned to achieve it. I couldn’t create visual layouts without making guesses about the amount and substance of the content they might include on their site. As I researched what to do about this sort of client, I discovered the term “content-first design”. While only a handful of designers had taken up this new paradigm, they were loudly singing its praises. The content-first approach was to pinpoint the “conversation” a business wants to be having with their customers first, before designing its visual interface or user experience. The argument was that design can only be effective if it’s shaped by the words it contains. The color, pattern, and imagery of a site are most satisfying when consistent with its voice and tone. The visual layout must consider the length of each paragraph and number of paragraphs on a page, or risk visually awkward paragraph spacing. The visual hierarchy of information can’t be styled until we know which pieces of content should be emphasized in the first place. These were truths that clicked with me immediately. Any designer could take on a content-first method, but I wanted to go further and deal with written content firsthand. Most designers shy away from content work, but I was skilled with words and excited by the idea of helping new businesses design the language that went into their brand “conversation.” So I decided to turn my traditional design and development services upside down. I built out my own knowledge and resources so I could skillfully guide new businesses through the branding and content-writing process they needed. I began to realize then, in the the blunt words of web design godfather Jeffrey Zeldman, “Design in the absence of content is not design – it’s decoration.” Design isn’t just about beautiful interfaces and seamless functionality, but about visually reinforcing the message that’s already there. And for me, it’s about building the perfect foundation to set up a business for success. Fill out the form and I’ll get back to you with an initial questionnaire. Then we’ll get together on a discovery call to see if we’re well-matched for your project. For other inquiries, please email me at yourstruly@ariele.gold.